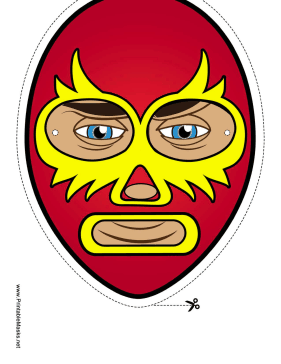 This luchador wears a red mask with fiery gold ornamentation. This mask is perfect for lucha libre fans. This mask is free to download and print.